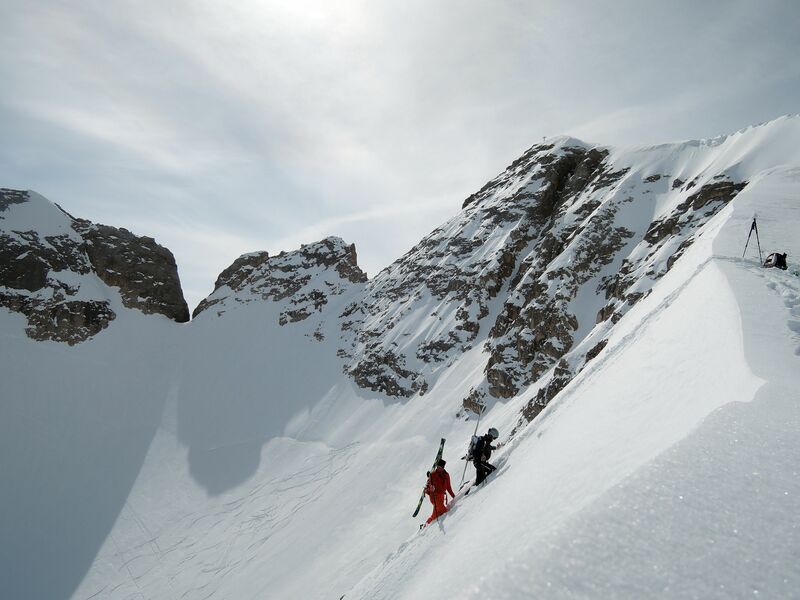 We want to go back to the dawn: studying the mountain, approaching the ascent, struggling to conquer it, loving it and only after skiing it. 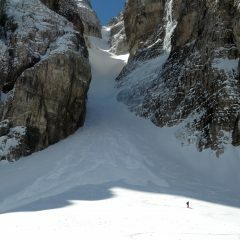 Of course we can not move the descent to the backgroung, we are ski lovers beyond mountaineeres. 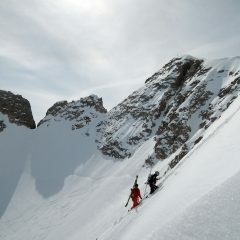 We just want to try to transmit the alpine concept of freeride. 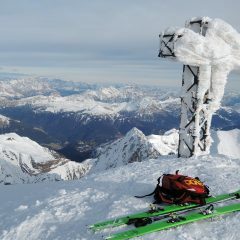 An image more adventurous of skiing and of what the mountain offers. 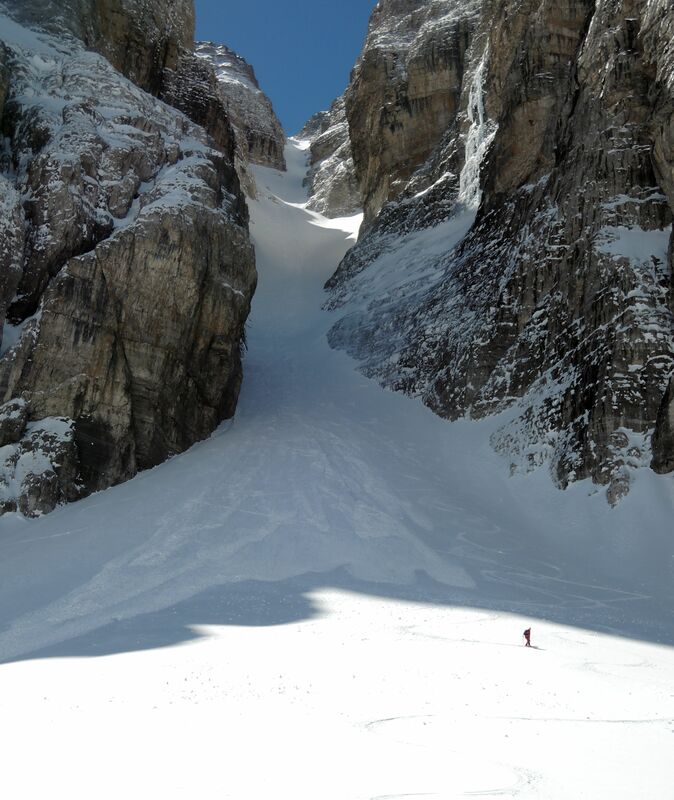 This project is geared toward skiers and snowboarders with a decent technique off-piste. For those who want to increase their knowledge and improve the technique of ascent and descent. €300 per person min. 3 participants, max. 4 participants. 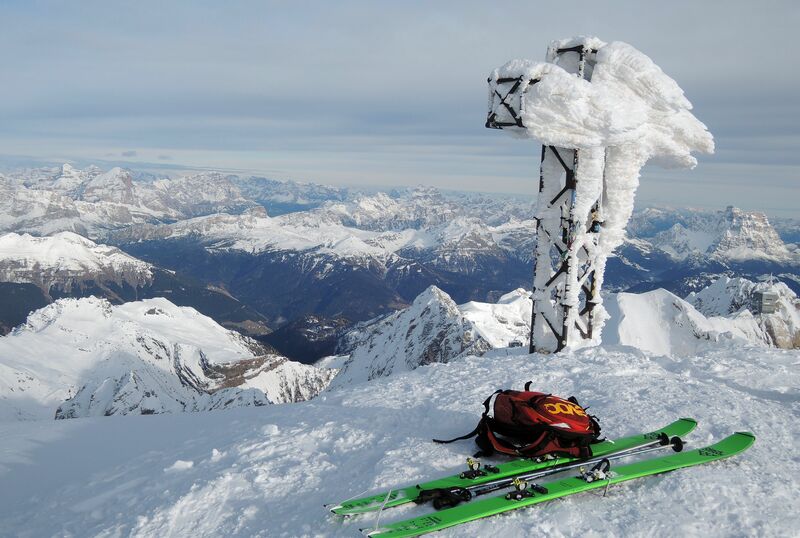 The price includes: mountain guide, safety and alpine equipment.